Virtual Eye Cricket headed over the ditch for client FOX Sports Australia to cover the ODI Series between the hosts and visitors South Africa, with matches in Perth, Adelaide and Hobart. These were followed by a T20 match between the 2 teams at Metricon Stadium on the Gold Coast - a week later the T20 series between Australia and India began at the Gabba in Brisbane, followed by matches in Melbourne and Sydney. Our Golf Operators began the month at the Turkish Airlines Open in Antalya, followed by the Nedbank Golf Challenge in Sun City. The next destination was the United Arab Emirates for the DP World Tour Championship at the Jumeirah Golf Estates, finishing off their month at 'The Match' at Shadow Creek Golf Course in Las Vegas, U.S.A. Virtual Eye Sailing rounded off November in Los Cabos, Mexico supplying graphics and tracking for the Extreme Sailing Series. 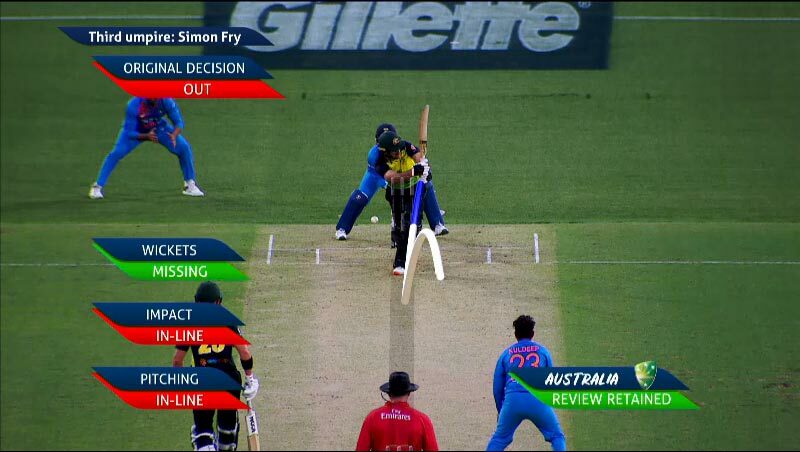 Above: Our Cricket Operators were kept busy this month with several back-to-back reviews, like these two Australian calls during the T20 match against India at Sydney's SCG. This month marked Virtual Eye's return to the world of Motorsports, at the Supercheap Auto Bathurst 1000, for client Fox Sports Australia. The Mount Panorama circuit and all 26 cars were modeled in 3D, and used to review incidents during the race. Virtual Eye also supplied flyins, qualifying reports and track guides during the build-up to the Supercheap Auto Bathurst 1000. Virtual Eye Golf began the month in the United Kingdom with the Alfred Dunhill Links Championship at Carnoustie, followed by the British Masters at Walton Heath GC, before attending the Andalucia Masters at Valderrama in Spain and the WGC-HSBC Champions at Sheshan International in China. Virtual Eye Sailing continued supplying our graphics and tracking for the Extreme Sailing Series, with four days of extreme catamaran racing in San Diego.